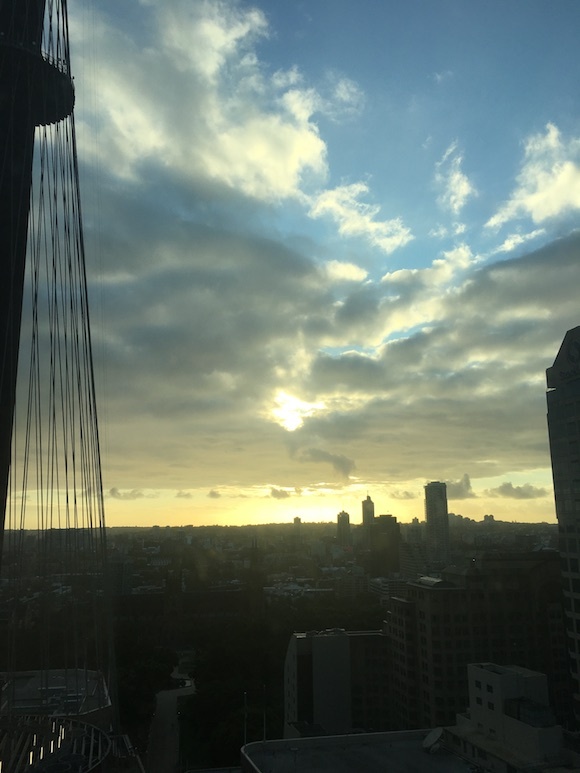 I arrived at the Swissotel Sydney after spending one night in Singapore and an eight hour flight, which followed a 12 hour flight from London, so I was slightly confused about where I was (or who I was, for that matter). 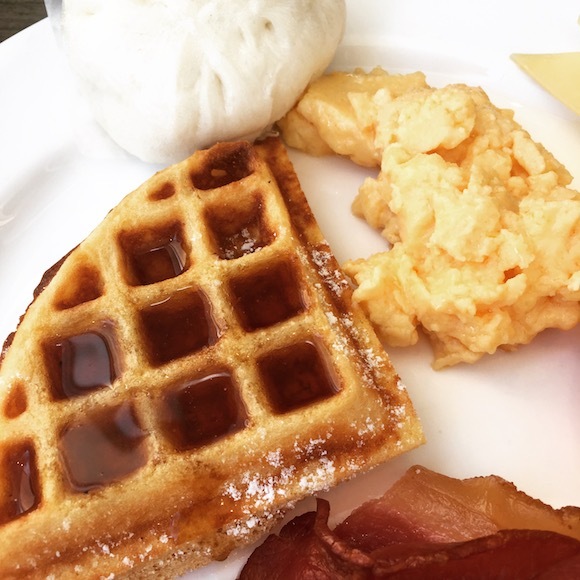 But as soon as I was ushered up to the Executive Lounge of the Swissotel Sydney and plied with all kinds of breakfast deliciousness and plenty of coffee I knew I’d found my perfect base for my first few nights in Sydney. 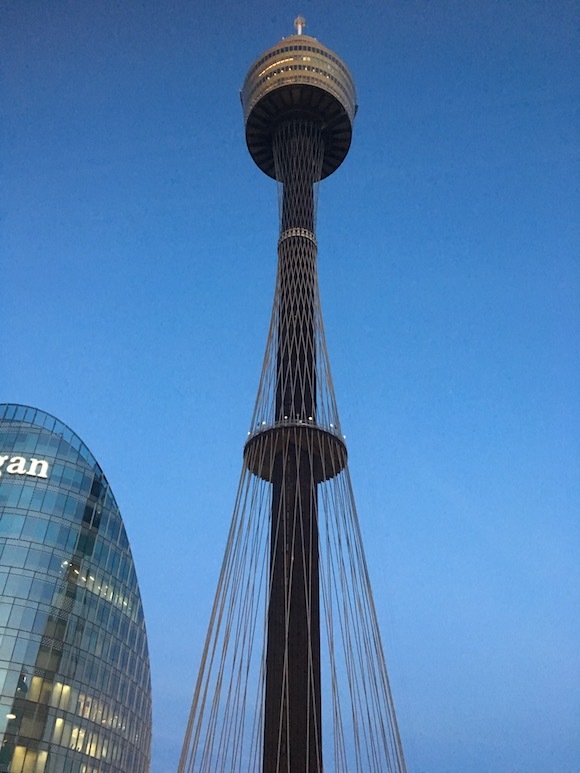 The Swissotel Sydney entrance is discreet, right on Market Street, so close to some of the best shopping in the city and about a 10 minute brisk walk from Sydney Harbour. 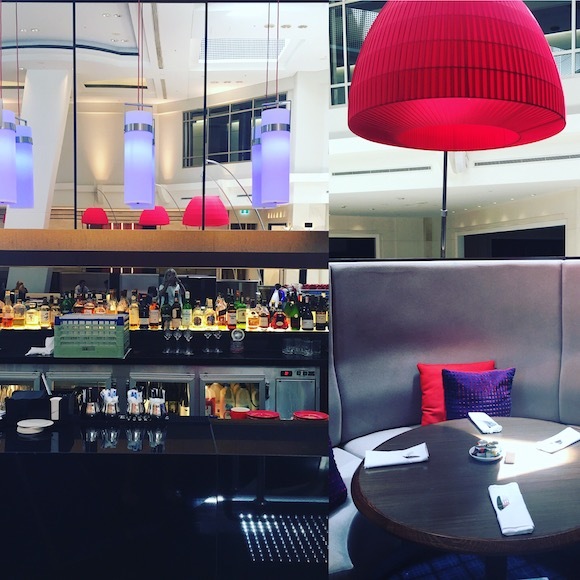 There’s an imposing but welcoming lobby, and this sets the tone for the rest of the hotel, which is contemporary and luxurious: think elegant Swiss glamour, immaculate, understated and covetable. 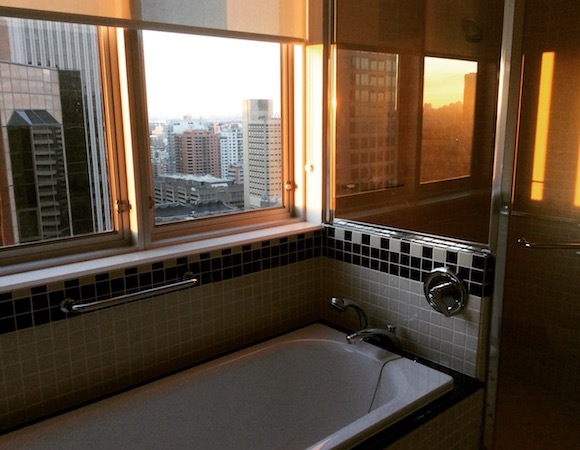 …and the most wonderful marble bathroom with stunning views – it was so heavenly taking a bath at sunset (I’m hoping I was so high up no one in any of the office blocks opposite got an eyeful *cough*). I loved waking up to sunrise across the city and seeing the lights glittering at night. 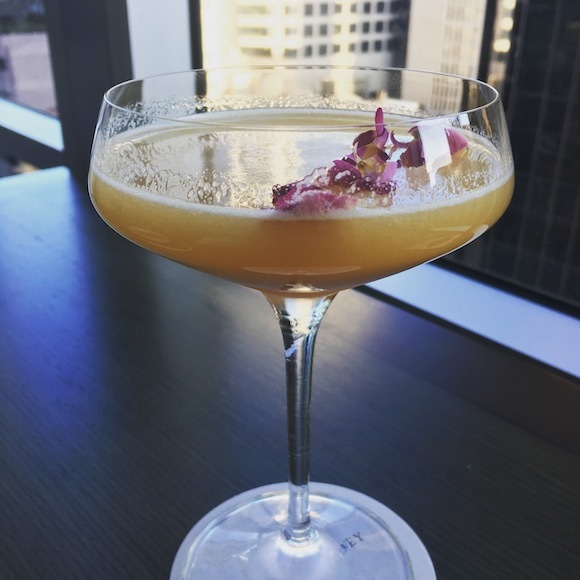 During my stay I simply had to try a signature cocktail at the Crossroads Bar made by the Swissotel Sydney’s resident mixologist, and the one I selected was completely gorgeous (Ciroc Your Socks Off, with vodka and passionfruit). 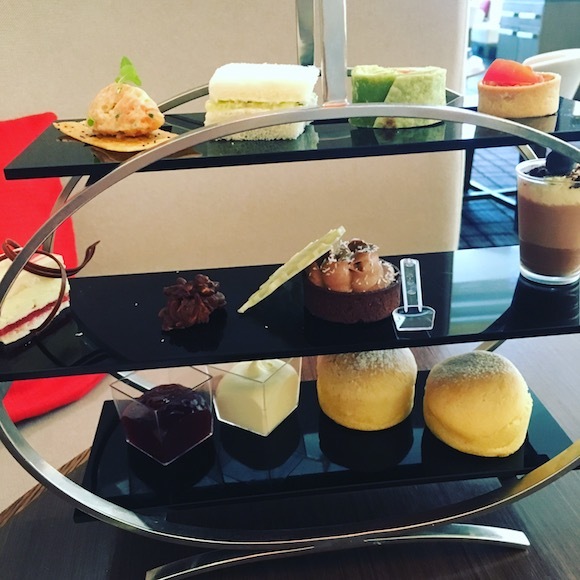 I also sampled the lush afternoon tea (well, it would be rude not to, right?). And the breakfast buffet is really superb, with smoothies made to order plus my favourite pork buns (I know it might seem weird having pork buns for breakfast, but trust me, it’s the best thing ever, and frankly if it’s wrong I don’t want to be right). 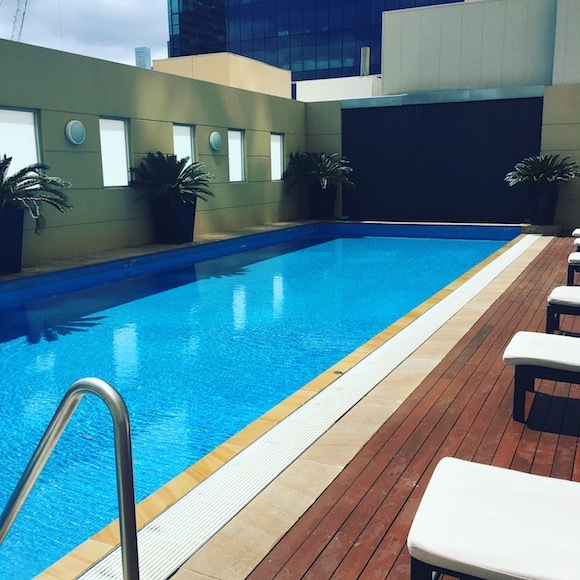 Unfortunately I was so busy exploring the city I didn’t have time to go in the swimming pool, which did look inviting – not massive but just big enough for a refreshing dip to cool off from the heat of the Sydney sun. 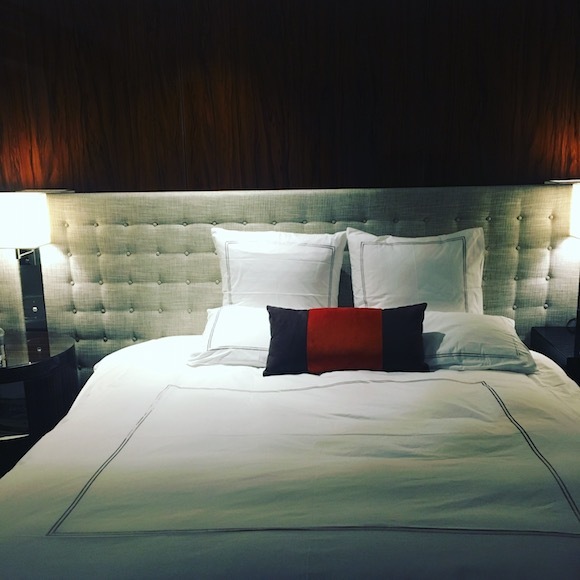 The Swissotel Sydney is a chic, luxurious base for a stay in Sydney, with wonderful anticipatory service and a brilliant location; it rapidly became one of my favourite hotels in the world, and I’d definitely stay there again. What’s your Chinese New Year horoscope?